Modem drivers are not immune to a host of errors, which have challenged computer users across the globe. Most of the issues that are mentioned in this article are not beyond the simple capabilities of a novice computer user. However, there are others which require a much more intense program of interventions depending on their impact. In this article we not only look at the modem driver errors, but also propose practical ways in which this process can resolve those outstanding issues. Remember that you cannot possibly install a modem without the respective drivers. This is a rule that applies regardless of the operating system that you are working with. 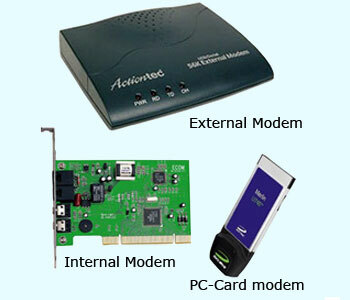 It is only through this driver that the software can access the modem and vice versa. It does not matter how technically advanced the modem is, if it does not have a driver to connect it then you are not going to get any meaningful performance. Where do the driver errors come from? The first source of problems is where the drivers have not been installed correctly, an easy mistake to make during the excitement of having a new toy. You may have to redo the installation or alternatively address the specific problem areas. In some cases, the challenges are all due to poor configuration. Even where you have done all these things correctly, there is still a chance that the modem driver will not be compatible with the operating system that you are working with. In order to avoid this error make sure your OS is updated on a regular basis and that your drivers are also sourced from reputable websites. The signs of a malfunction are pretty straightforward and easy to identify. You will find that you can no longer link up to the internet. When attempts to connect are made, the following string is used to indicate an error: “692 – No Dial Tone”. In some cases, the entire system will freeze up and you will find that the modem is constantly busy whenever you try to connect. Use the device manager to correct the error through upgrades. Alternatively, you can use a management tool which does the same thing. The Driver Downloader has received rave reviews as the favored option for doing these processes quickly, because it also incorporates corrupt and missing drivers in its to-do list. These are automatically updated to the most appropriate version. There are a number of alternative issues that can be dealt with easily before they escalate into major obstacles. For example, if you are unable to get the modem to dial, you need to check the cable and plug-ins to ensure that they are properly attached. Their condition must also be checked as part of routine maintenance. At other times, the phone jack may not be working. In order to do this you will have to connect an ordinary phone and see how it responds. If it rings correctly then you can rule out the cable and connection itself. The user id and password should also match what was placed on the records.